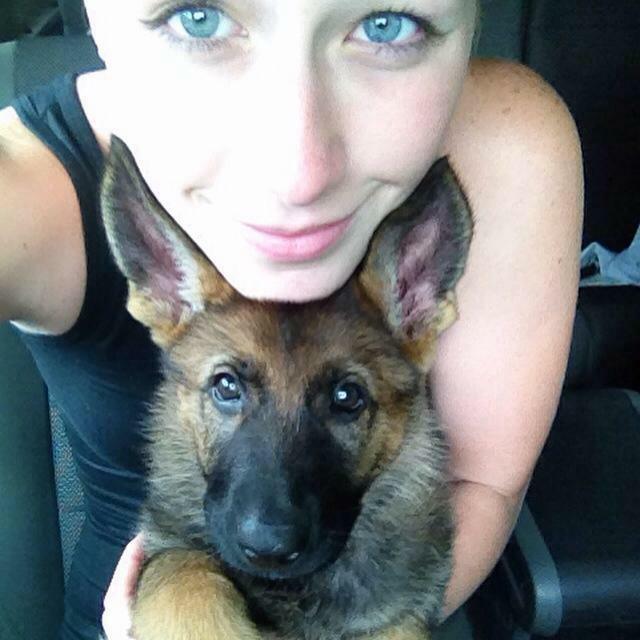 Journee finally, after many weeks of waiting, got her German Shepherd baby. 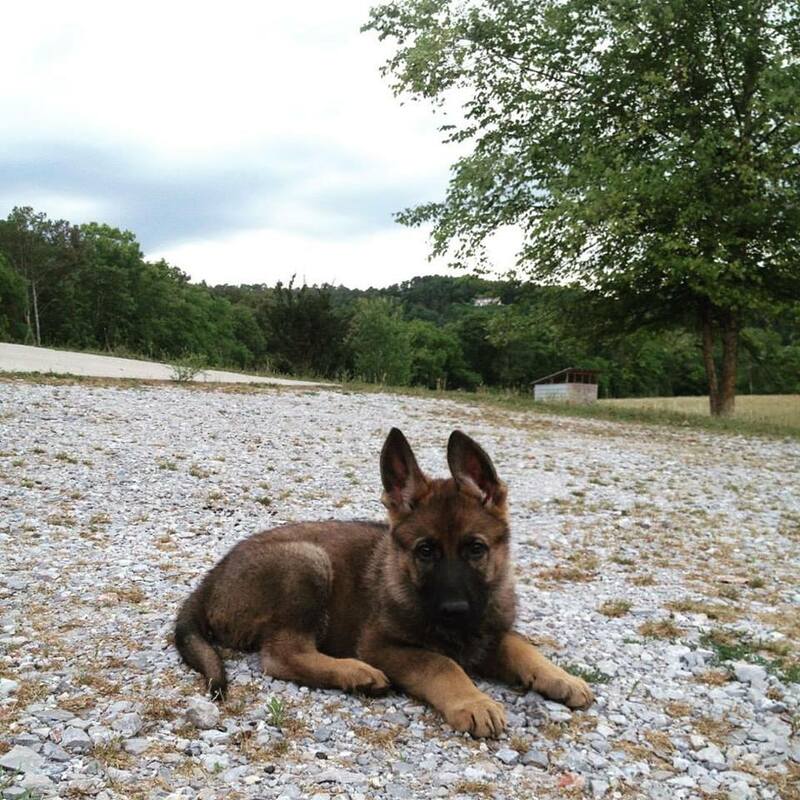 She arrived at 8 weeks old and was quick to learn some basic commands. Journee paid high dollar for this dog's pedigree and breeding. She came from a local breeder and has so far been a wonderful pup. 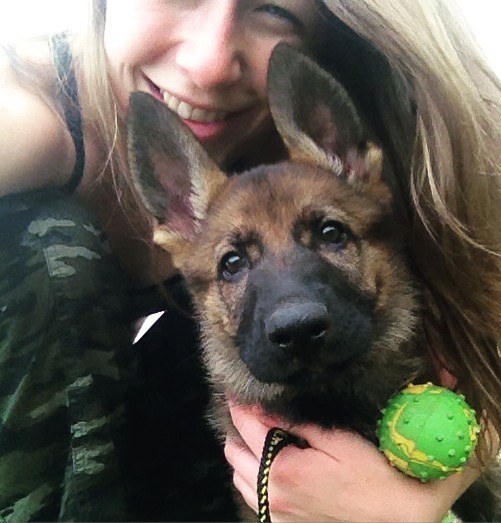 Journee named her Kid and plans to use her to train for K-9 Search and Rescue, something she has always wanted to do and has researched extensively. Because she is still so young, she isn't able to handle or process intensive training, but she has learned basic commands and loves to play a game Journee calls "Hide and Seek." Basically someone holds Kid while Journee runs away and hides. Once Kid is let go, she is commanded to "find." She finds Journee every single time. It's amazing. Journee must also go through some training and exams for this type of work, and last weekend she took an intensive field navigation class near Atlanta. 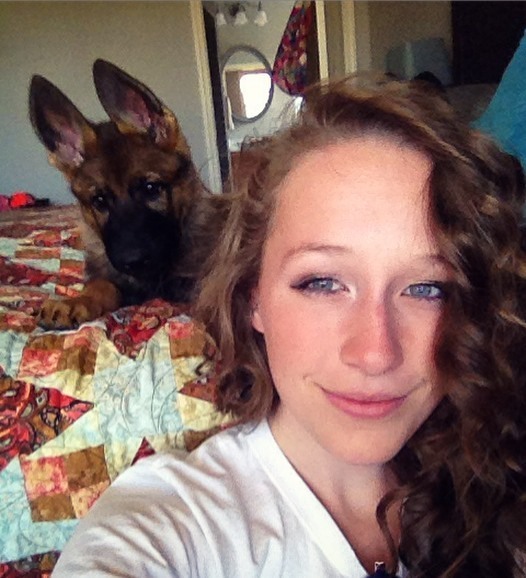 She is managing nursing school, work and her dog. Lots of work for her and she is never bored. Of course we get to babysit when she is at school and work. The pup has bonded well with all of us and is super friendly. Those ears? Oh yes, she has the best ears. I can't wait to see where this adventures leads these two. Wonderful story! Wonderful pictures! I'm so happy for Journee! And for Kid, too - she has such a loving family! She looks so cute! Best wishes to her and Kid!